Maybe you’ve heard about the StrengthsFinder personality assessment? Maybe you’ve taken it, but didn’t really grasp what it meant for you? Or maybe you’ve never heard about StrengthsFinders but have always wondered what it would be like to work with a business success coach? In October 2017, I attended the Minnesota Bloggers Conference, where, during one of the breakout sessions, I had the opportunity to meet Alissa Daire Nelson, a fellow blogger/podcaster. After the conference, I started to listen to some of Alissa’s podcasts on my way to and from work. 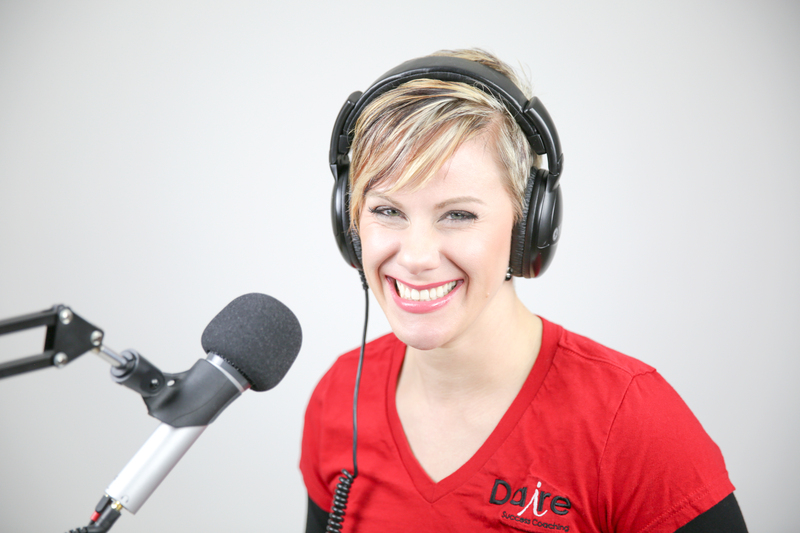 Most of her podcasts are conveniently about 20 to 30 minutes long – perfect for my commute from the East Metro to downtown Minneapolis where I work for Pocket Hercules, a branding firm. I found myself vigorously nodding my head every time I listened to Alissa interview one of her fascinating guests. And in the process, I started to learn more about StrengthsFinder, which I had taken a couple years ago. In this Q&A, we walk through Alissa’s journey, from attending a presentation offered by Zig Ziglar when she was 16 to how she chose to become an entrepreneur and start her own business, Daire Success Coaching. This interview also will shed some light on StrengthsFinder by Gallup, a tool that Alissa uses as part of her coaching practice. Stephen Dupont: Before we dig into your work as a business success coach, your podcast and StrengthsFinder, could you share a little bit about yourself? Where did you grow up? Did you dream of being a business success coach when you were a little girl? Alissa Daire Nelson: I grew up in Roseville, Minn., a first-ring suburb of St. Paul, in a family of seven kids. I was kid number six. I attended Roseville High School. Our parents taught us that if you want something, go get it. So I was taught to be independent and to think independently very early on. That’s me. That’s the way I’m wired. My parents tell me that when I was very little, we only had one car and it broke down, so they couldn’t drive me to pre-school. But I wanted to go to pre-school so bad, I left the house and walked the two miles to the school. I remember my taking my first “job” when I was 11. I was going to a gymnastics club and the owners, knowing that money was tight in my family, allowed me to “coach” the really little kids (supervised by an older coach, of course). My first paying job was at McDonald’s. They hired me when I was 14. I even checked the other nearby fast-food restaurants, such as Burger King and Arby’s, which didn’t hire until you were 15. The reason I wanted to work was to pay for my dream. I wanted to be a gymnast at a Division 1 university. My parents would help as much as they could, but I knew a large amount of college tuition would need to be covered by me. Stephen Dupont: And did you achieve your dream? Alissa Daire Nelson: Yes and no. Yes, I was accepted onto the Utah State University’s team. But, I decided to leave that school and to be closer to my boyfriend, who would later become my first husband, to another school. After one season at Winona State University, a Division II school, my body gave up and I had to quit due to a shoulder injury. Stephen Dupont: How important was education to your parents? Alissa Daire Nelson: It was very important. They insisted that my brothers, sisters and I go to college. All seven of us did. More important than that, they really wanted us to be who we wanted to be. Stephen Dupont: Did you only dream of being a professional gymnast? Alissa Daire Nelson: No, actually. I really wanted to be a broadcast journalist. I idolized Diana Pierce, the long-time news anchor for KARE 11. I used to have a photograph of her that I took everywhere when I was in elementary school. Alissa Daire Nelson: Yes. I obtained a bachelor of science in dietetics from the University of Wisconsin-Madison, and a B.S. in nursing, and when I was 30 or 31, I remember thinking to myself: “Here I am, working the night shift (as a nurse), and I’m a long way from my dreams. Instead, I’ve followed someone else’s path. What’s wrong with me?” Even though I had two beautiful and wonderful children with my husband, I realized that I could not go any further on this path. Alissa Daire Nelson: Yes. My husband and I divorced, and fortunately, we maintained a good relationship over the years. In the meantime, I started a path that embraced entrepreneurship. Stephen Dupont: You were a dietician and a nurse before starting your business. What did you learn from those experiences? Alissa Daire Nelson: Oh man… so much. If I had to rank my learnings and choose the biggest thing, I would say the understanding of how our bodies and brains work was so helpful and useful, not only in those careers, but in my life, and in my current business. I also am so grateful for the experiences in a salaried position (as I was in my career as a registered dietician) and as a shift worker, especially a night shift worker (as I was as a bedside registered nurse). It gives me a compassion and understanding of some of the different work schedules out there. I’m so grateful for my wide array of experiences. Stephen Dupont: So, for everyone reading this article, you usually start your podcasts by asking a person about their signature (or top 5 out of 34) StrengthsFinder strengths. What are yours? By the way, mine are Achiever, Strategic, Learner, Input, and Ideation (I took it two years ago). Alissa Daire Nelson: My signature strengths are Futuristic, Woo, Positivity, Activator and Strategic. Stephen Dupont: What did you think when you took the StrengthsFinder survey for the first time? And have you taken it again since then? Alissa Daire Nelson: I learned about StrengthsFinder after I started my career as a business success coach. I decided to make it my mission to help women see the wonderful things inside of themselves. So I went looking for tools to help me accomplish that. As someone who studied biology and science, it was really important to me to use tools that are based on scientific fact. StrengthsFinder is based on 40 years of research. When I took it for the first time, it really helped me to understand myself. Here’s what I discovered: We are all wonderfully lopsided. We were not meant to be perfectly well rounded individuals. Once you realize this, with the help of StrengthsFinder, you obtain the freedom to ask someone to help you with those areas where you are not strong. Whether you are running your own business, or you’re an intrapreneur – someone who is running a business within a business – that understanding is incredibly freeing. You don’t have to know everything. You don’t have to wear all of the hats. You can find people who complement you. Honor people or processes by allowing them to fill in your gaps. Stephen Dupont: Have you taken the StrengthsFinder more than once? If you did, have you noticed that with each time you take it, your five most important strengths stay the same from survey to survey? Alissa Daire Nelson: Yes I have. I think the first time is the most representative of you. I think you can bias your answers with multiple takings to obtain different signature strengths. But, I have read that regardless of how many times you take it, your top 10-15 will almost always stay the same. Here is how I recommend using it. Focus on your top five strengths. Learn how to unleash and apply them. Your other strengths, from number 6 to 15 are in your periphery. Sometimes they come out and you see them in your day-to-day work and interactions. Think of your Top 5 as your Easy Buttons. And 6-15 as the ones that are still at your disposal, but may not be your most frequent go-to Themes. Each of these themes become strengths when they give you energy and they give energy to others. So just keep working at them. Stephen Dupont: Will your signature strengths shift over time, as you become older, more wiser, and take on different experiences? Alissa Daire Nelson: Yes, but I’ve noticed with my clients that typically two to four of your top 5 signature strengths remain with you as you age. And, as you look back, you’ll notice your signature strengths in some of the experiences you had as a child. For example, I can clearly see my signature strength, Activator, in many of the things I remember to when I was a four or five year old. Stephen Dupont: Why do you put so much emphasis on focusing on your core strengths versus bringing up other strengths? Alissa Daire Nelson: When you’re operating in your core or signature strengths, you will notice that you are operating with more energy, and that you have more energy to give back to others. It’s similar to feeling like you are operating with flow. Stephen Dupont: Why do people need life, career, or business coaches such as yourself? Alissa Daire Nelson: I think we all need coaches. Even coaches need coaches. Often times, when we think of enhancing our lives and improving our performance, we set up unrealistic standards for ourselves. I think the greatest value of a coach is to help pull you out of the weeds and re-focus on what matters most to you. You can co-create that success far quicker and with more energy than doing it by yourself. Stephen Dupont: When someone comes to you for coaching, and they take their StrengthsFinder assessment, how do you leverage that information to help them move forward with their life/career goals and dreams? Alissa Daire Nelson: In a nutshell, the StrengthsFinder helps you understand how you are wired. When you start to understand that, then you will start to let go of behaviors that frustrate you. You start to respond instead of react. You start to surround yourself with others who bring out the best in you. After you start to see how amazing you are, amazing things start to happen. And once you’ve embraced how perfectly lopsided you are, you can extend that same honor, curiosity, respect, and collaboration to others. Yes, magic starts when that happens. As a side note, I think couples should take it together. I think the divorce rate would plummet if we knew how not only we are wired, but how our partner or spouse is wired. And if we understood that, we can take the next step and begin to have different conversations, to honor instead of resent differences. I believe love is important, but respect and honor are even more important. Many couples marry someone who is their opposite. And because they don’t work on understanding this, there is friction. But if you knew what your spouse’s strengths were, and respected those strengths for their uniqueness, you would find that you can work together better as a couple versus working against each other. Stephen Dupont: Based on your experience, what is the No. 1 challenge that people come to you to seek your expertise? Alissa Daire Nelson: That’s simple. They’re overwhelmed. They feel stuck. Frozen. The feel overwhelmed by the amount of stuff on their plates. They feel like they don’t have the bandwidth to take on even one more thing. And because they’re driven by their pride, their own expectations of themselves, others’ expectations of them, and very often feel alone, they don’t know how to ask for help to get unstuck. Stephen Dupont: Do you see a lot of people who seem “stuck” in life and in their careers? Alissa Daire Nelson: Yes. To elaborate some more on this…I see a lot of people who think inside the box. They’re listening to this voice in their heads that says they need to achieve this or that, but they never get around to doing it because they’re unable to think outside of the box and entertain new ways of responding. They’re always in reactive mode. Here’s another aspect of this: Often times, people who are stuck are stuck by themselves. Humans are drawn to each other. I don’t believe we were meant to be perfectly well rounded. We were meant to be interdependent. We bring our best to the table and together with others, we’re better together. Stephen Dupont: How do you use StrengthsFinder in helping your clients better understand their values? This naturally leads to a discussion about our life’s passions. There’s a great book by Elizabeth Gilbert. It’s called: Big Magic: Creative Living Beyond Fear. There’s a lot of talk out there about following your passion, and in so doing, we get all wrapped up in it. We can actually get stuck. Instead, I like what Gilbert suggests, which is to follow your curiosities. Stephen Dupont: How do you recommend using StrengthFinder in the workplace? Alissa Daire Nelson: So imagine that you’re in an annual performance review meeting with your manager or supervisor, and he or she is focusing on why you need to become more consistent. Maybe they want you to submit more detailed reports, or create a daily checklist. StrengthsFinder can help you better understand where that’s coming from. It’s likely, that one of your supervisor’s signature strengths is consistency, and that’s why he or she is focusing so much on this trait, which may not be a strength for you. When we understand what each other’s strengths are, it helps us better understand one another and communicate better. It helps us understand what matters to another person, and how we might be misunderstanding each other. On the flip side, as a leader in a company, helping your direct reports thrive by empowering them to play to their strengths is great. Some leaders thinks that means that “letting people do what they want” and giving up a focus on work excellence. But understanding that strengths and skills are two different things is really important. Skills will be the ‘what’ your employees do; strengths will define ‘how’ they’ll best carry those skills out. Stephen Dupont: How did you start your business? Alissa Daire Nelson: When I was in sales, I started to work with a sales coach. Then, later, a mindset coach. It was during these coaching sessions that I realized I wanted to build my own business and that I wanted to help people as a success coach. I want to emphasize that I didn’t do this by the book. First off, I didn’t have six months of income saved up to weather the ups and downs of getting a business off the ground. I had my husband’s stable income. We did have a serious discussion about it. We took a full weekend to think it through. We figured out how long we could live on his income so we could fully understand the risk we were taking. Then it was trial and error. And more trial and error. Fortunately, I obtained my first client within my first month of doing business, but as with any business, there have been a slew of ups and downs, feasts and famines. Stephen Dupont: In your first year of business, did you ever fear that people would perceive you as an imposter or faker? But here’s the truth: You are unique and you bring your own unique strengths to whatever you do. I also knew that there are a couple of ways to be a qualified coach. One was decades of experience in a given field. The other is to work and gain a legitimate certification that gives you the educational background and base for coaching. Since I didn’t have the first, I chose the second. My StrengthsFinder Certification gave me a huge boost of confidence. Stephen Dupont: Do you use other personality assessments as part of your work, such as the Myers-Briggs assessment? For example, I think you use Neuro-Linguistic Programming (NLP) as part of your practice. How do these and other assessments work together and help you help your clients? Alissa Daire Nelson: Yes and no. I have bit of a base in a few different profiles/assessments, such as DiSC, Myers-Briggs, Fascinate, and the Kolbe A™ Index/Instinct Test. However, I filter the results of those other tests through the lense of StrengthsFinder, because I really want my clients to understand how to leverage their signature strengths. And I felt it was better to go deep with one profile I really trusted than to be a Jack-of-all-trades, as it were. Stephen Dupont: In your work as a business success coach, with whom do you work with primarily? How would I or someone else know if they would benefit from working with the success coach such as yourself? 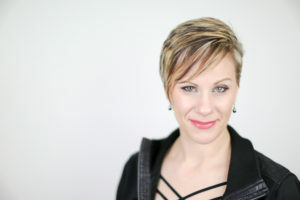 Alissa Daire Nelson: I primarily work with people who want to start their own business, or entrepreneurs who want to optimize their performance as business owners. But I will work with growth-minded individuals or teams outside that niche who want to better understand their strengths and wants to grow as a human being. Stephen Dupont: Was there a specific trigger or moment in your life that made you think that you needed to start your own business? It was like a gut punch. I immediately experienced a stomachache because I could not answer “Yes!” I knew I had to do something different. I knew I could not go one day more doing what I was doing. So that weekend, I talked to my husband about what I needed to do next. That conversation was a truly fork-in-the-road experience. It literally stopped me in my tracks. Stephen Dupont: How did you actually start your business, Daire Success Coaching? Did you start it on the side while working full-time, or did you just make the leap and start it? Alissa Daire Nelson: Well, I knew I couldn’t start my business on the side. I don’t do lukewarm very well. My whole heart has to be in it or not do it. So after discussing the idea for my business very thoroughly with my husband, I decided that I’m going to do it, I experienced this lightning bolt moment. I felt fear, of course, like I think all people do in making a big decision, but I felt that if I didn’t do it, I would feel a great amount of regret. Not trying would be a greater loss to me than trying. So that’s how I decided to start Daire Success Coaching and follow my heart. Stephen Dupont: A big part of the marketing of your business as a business success coach is your podcast, Maximize Your Strengths. How did you decide on this particular way of promoting your practice versus, for example, advertising your services in a local magazine or newspaper? Educating people about how the StrengthsFinder can help them through her podcast. Alissa Daire Nelson: I’ll confess that I hadn’t heard of the word podcast until before January 2016. I did know that I should blog to build a following, but every time I would start writing, I would just freeze! That’s when a friend suggested podcasting. As it turns out, it’s the perfect vehicle for me because it allows me to network with other experts. Just so you and your readers know, many people think of the StrengthsFinder assessment like a horoscope. They take it, and say, “Well, that’s neat,” but don’t do anything with it. To me, it’s a tool — one of many that I use — to coach people. I use the podcast to educate people about StrengthsFinder and to put StrengthsFinder into the context of goal setting and performance improvement. Stephen Dupont: You’re now on Podcast 118. In other words, 118 episodes. Do you have a favorite episode? Episode #49 is probably my all-time favorite. That’s because I interviewed my daughters, Annika and Avery, about her StrengthsFinder. There’s actually a young adult version of StrengthsFinder called StrengthsExplorer. This episode shows how StrengthsFinder can be used for parenting. 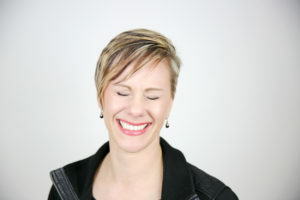 Episode #73 with Elisa Hays is truly inspirational. Elisa was hit by an 18-wheeler truck going 65 mph…and survived, and is now thriving. Need I say more. Episode #77 with Shawn Stevenson is excellent. In this episode, he speaks to the process of finding your Why. Stephen Dupont: How many people do you think you’re helping with each podcast? Alissa Daire Nelson: I’m not exactly sure, but according to my website traffic, I think about 5,000 people a month. Stephen Dupont: What are your all-time favorite books – your top 5 must reads? The Alchemist by Paulo Coelho. I love this book. This is a great book about embracing the journey that we’re on. The Miracle Morning: The Not-So-Obvious Secret Guaranteed to Transform Your Life (Before 8AM) by Hal Elrod. This is a great book on how to change your mindset. Sleep Smarter: 21 Essential Strategies to Sleep Your Way to A Better Body, Better Health, and Bigger Success by Shawn Stevenson, who speaks to the critical importance of getting a good night’s sleep. 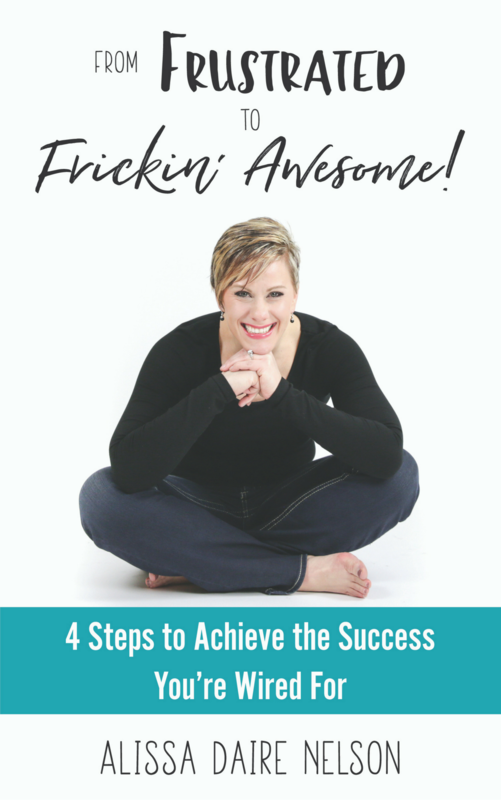 Alissa Daire Nelson, From Frustrated to Frickin’ Awesome! Stephen Dupont: You also wrote a book, From Frustrated to Frickin’ Awesome! Many people dream of writing a book. How difficult was that process for you, and how did you get started? Alissa Daire Nelson: Yes. I knew I had to do a book to support my business. What I didn’t realize before I started this project is that this book almost put me out of business. So, here’s the story. You know that I’m not a big fan of writing blog posts. Which is why I prefer podcasting. So imagine taking on the challenge of writing a book. I was determined to crush this goal, so I very publicly said I would do it in 100 days. Because I was so focused on achieving this goal, I let my business slide. I was determined to get it done, so I basically locked myself up to write it. I buckled down, but not without a lot of tears being shed. When I got through the process, I found I just had two clients left. I got it done, but I had to claw my way back to making my business viable again. Stephen Dupont: You re-married. How important is it to have a spouse to support your dreams? How have you used StrengthsFinder to build your marriage? Alissa Daire Nelson: My husband is my rock. I am not sure where I’d be if my husband wasn’t the supportive, stable man that he is. Here’s what’s interesting. My husband and I are truly polar opposites. Quite literally, our StrengthsFinder profiles are the inverse of the other’s. This means a LOT of differences: I am spontaneous. He’s a detailed planner. I’m a verbal processer. He likes to think quietly until he has come to a conclusion. I am exuberant. He’s very emotionally even-keeled. You can imagine that often we simply don’t see life, challenges, or solutions through the same lense. And this is pretty common in marriage. “Opposites attract,” right? We’re often drawn to what we’re not. It’s human nature to subconsciously seek out people that fill out our gaps. But, truth… if we didn’t understand each other’s strengths, we would probably fight… a LOT. But we don’t! In fact, in the 7 years that we’ve been together, we’ve had maybe two or three fights. We’ve had LOTS of respectful discussions, but very few fights. I give understanding and living our Strengths a big credit for that. Stephen Dupont: Every day, people come to you with their biggest challenges. What is your biggest challenge or what was the biggest challenge, so far, that you’ve had to overcome? Alissa Daire Nelson: My biggest challenge has been embracing my own greatness. And not in an arrogant way. Embracing that there is SO much right with me and focusing and growing that versus fixing what was/is wrong. My current biggest challenge is managing my own workaholism. I can easily get lost in work. Staying present to what’s important on a daily basis is vital. Stephen Dupont: In Silicon Valley, there’s this whole mindset about Fail Fast. What do you think about that? Alissa Daire Nelson: I’ve got a strength theme called Activator; that part of me loves learning by doing, and doing it quickly. I totally encourage failing fast. But I don’t believe in taking action without thinking. That’s just impulsive. Stephen Dupont: Do you feel like you are doing what you were meant to do with your life? Do you feel like you are living a life of purpose? Alissa Daire Nelson: I do. I also believe that our purpose can pivot and grow, and certainly, I’ve experienced that, too. Stephen Dupont: What is your definition of a rich and rewarding life? Alissa Daire Nelson: First and foremost, close, meaningful personal relationships, positive impact on others, and financial freedom to be able to pursue both of those first two things. Stephen Dupont: Where do you find your creativity? Is it working with your clients to help them find a solution to some of the biggest questions in their lives? Alissa Daire Nelson: That’s a great question. I haven’t thought about that much explicitly. Where I really feel like I buzz on all cylinders is engaging and co-creating with clients, exploring new ideas with others, and in general being with people. Stephen Dupont: How did you know that you were doing what you were meant to do? I think a lot of people wonder about that question? Is it something you feel? Is it a sense of clarity? Alissa Daire Nelson: For me, it’s the thing that I keep coming back to again and again and again. I notice the energy I feel when I’m focusing on, talking about, and living out this purpose. I feel on fire. For me, it’s a sense of knowing as well as a distinct feeling in my heart and chest. Stephen Dupont: Knowing what you know now (you’re 38 years old), what would you tell your 16-year-old self about the journey ahead of her? Did you enjoy this article? For more articles by Stephen Dupont, APR, subscribe to www.stephendupont.co or follow me on Medium.com.